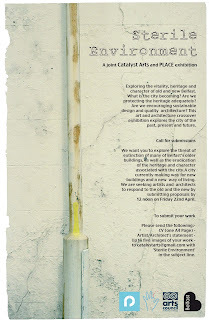 Information on an arts programme as part of conservation work on Coleraine's Market Yard below. Street sign on the Market Yard. Image via Albert Bridge. 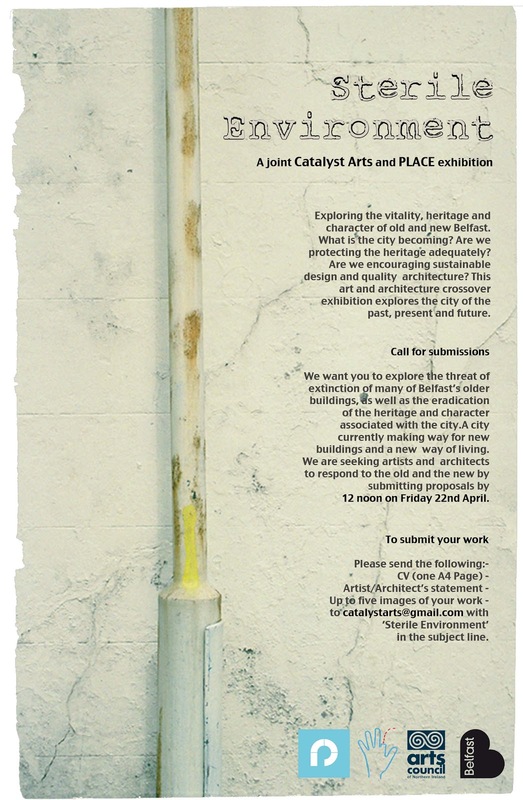 Causeway Museum Service would like to extend an invitation to amateur artists in any medium to take part in a unique project for the Market Yard, Coleraine. Photographers, painters, sculptors, writers and poets are all welcome. They will have the opportunity to observe and record a major heritage development and take part in a historic exhibition. 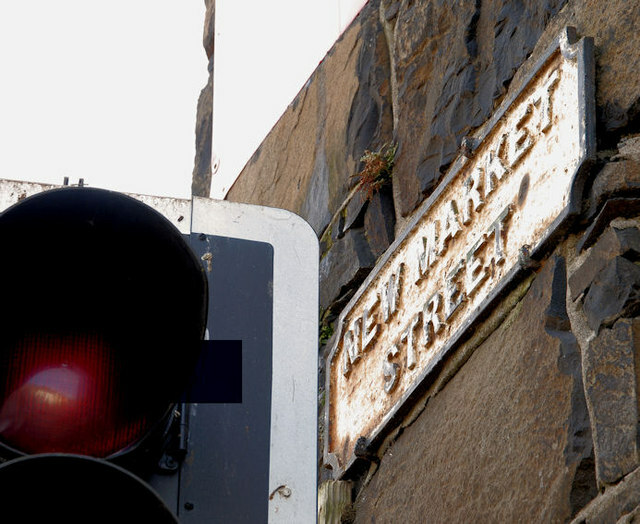 The Market Yard was built in Coleraine in 1829 to take the thriving agricultural trade out of the town centre. For 150 years it was a commercial hub. It was also a meeting place where people met to trade stories and ideas. The Market Yard has been closed off and derelict for some time, but is about to undergo a rebirth. Conservation work on the structures will commence shortly to make the Yard accessible. Council are currently awaiting a decision on major funding to build a new museum and other facilities within the soon to be restored site. 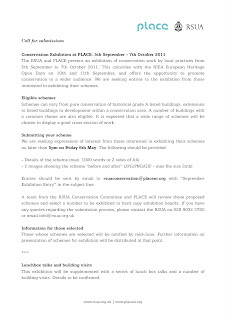 The conservation works programme will be making a technical record. However Causeway Museum Service would love to see how artists would observe and portray any aspect of the project before the conservation works commences. All amateur artists are invited to join a group which will have unique access to the Yard. 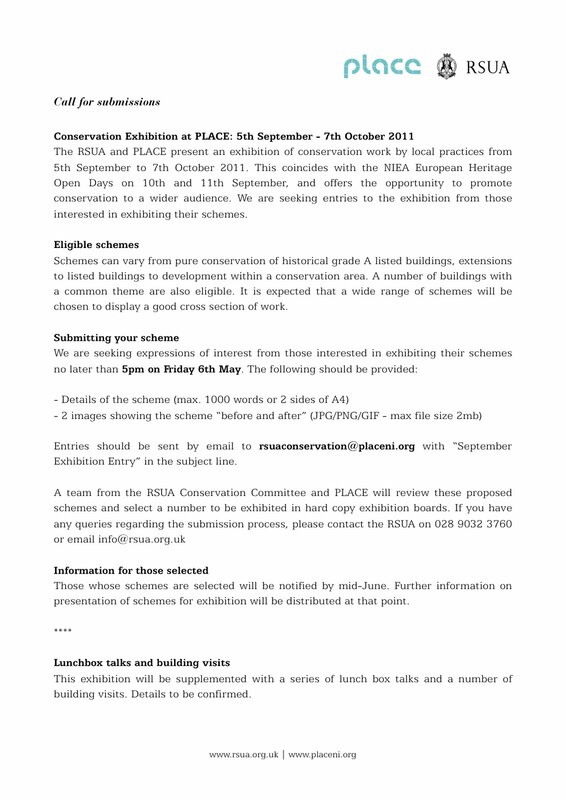 All work produced will be eligible for selection for a major exhibition. An inaugural meeting will take place at Coleraine Town Hall Council Chamber on Thursday 12th May at 7.30pm . This will provide a chance to learn the background to the project and discuss ideas for the programme. Please contact us if you are interested in the project, even if you cannot attend the meeting. The Conference is free but advance registration is essential as places are limited. 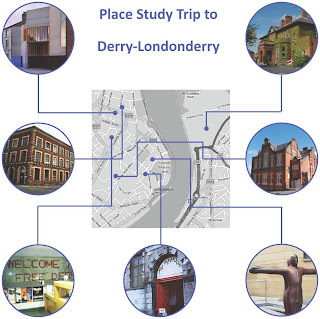 To register email your details to isfsp-titanic@qub.ac.uk before Monday 16 May 2011. A recent visit to Derry-Londonderry offered insight into the exciting opportunities presented by cultural regeneration. A walking expedition, guided by PLACE director Michael Hegarty, provided a whistle-stop tour of some of the cultural enterprises established within the city. The walk weaved its way through the streets and walls of Derry and took in symbols of its divided past, from the churches to cathedrals, murals to graffiti and structures of protection and defence. However, clearly evident was the emergence of a new cultural identity and a recognition that city’s future should be shaped but not determined by its past. Social and economic investment in the city’s cultural capital has culminated in Derry receiving the eminent status of City of Culture 2013; an opportunity to celebrate the distinctiveness rather than the division of Derry’s culture. The tour quickly uncovered a scattering of cultural gems, from Culturlann, Void and the Museum of Free Derry, the walk led us around the walls past the first Derry Presbyterian Church, Apprentice Boys Memorial Hall and St Columb's Cathedral as well as offering views of new additions to the cultural mix including the Craft Village, Playhouse and Verbal Arts Centre. These initiatives have injected new life into historic buildings and opened alternative channels for creating connections between past and present. ﻿﻿﻿The day began with breakfast in the buzzing Irish language centre, Culturlann. Manager Donncha MacNiallais provided a tour of the building and its facilities which provides a centre for the celebration of Irish language and its cultural links to music, dance and education. Next stop was Void, an artist-led contemporary art space in the basement of the old city factory. Excavation of the original floorspace has created a unique usable space that houses two galleries, six studios, conference room and education area. This has enabled Derry to attract and display contemporary art of international repute. The tour was then led towards the infamous Bogside to the Museum of Free Derry, a social economy initiative which shares the area’s difficult and troubled past focussing on the civil rights era of the 1960s and the Free Derry/early troubles era of the 1970s. We were treated to a tour of the impressive Playhouse & Context Gallery by Niall McCaughan. The building houses an array of arts and activities including gallery space, workshops, dance hall, theatre as well as the Lilliput Theatre Company, Ireland’s foremost theatre company of people with learning disabilities. 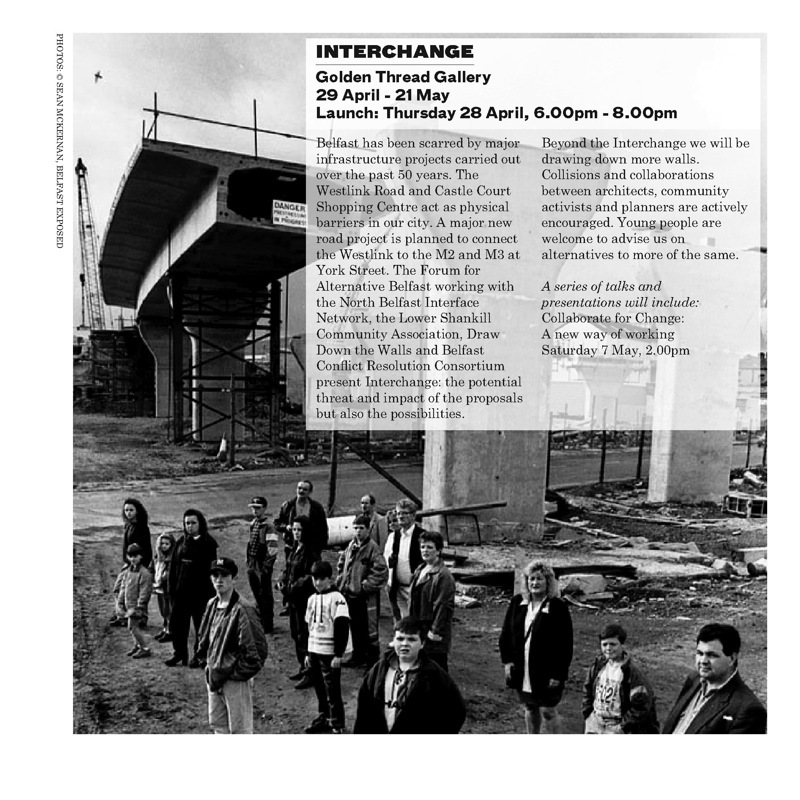 The context gallery offers a vital platform for the promotion of emerging Northern Irish and Irish artists and we were fortunate to meet and chat to exhibiting artist Locky Morris. The tension between Derry’s divided past and a shared future was strongly depicted in Antony Gormley’s contemporary sculpture which consists of two identical figures standing back to back facing opposite directions yet inextricably connected. Lunch was provided in the Blooms café of the Verbal Arts Centre, a centre for the promotion of the written and spoken word. The centre is housed in the beautifully refurbished First Derry School located in a prime position along the city’s walls. The centre’s many initiatives seek to offer discourse for the celebration of commonality and diversity. The tour concluded at the former Ebrington Barracks, a major development opportunity offering potential for culture-led regeneration. Caoimhin Corrigan, Cultural Broker for ILEX, outlined the opportunities and challenges facing the city as it approaches City of Culture 2013. These developments clearly demonstrate the optimism within the city and the desire for Derry to establish its reputation as a vital space for the celebration, promotion and sharing of arts, history and culture. The forthcoming City of Culture 2013 offers a great platform for the city to transform its divided political history into a shared cultural future. PLACE visit to Derry, a set on Flickr. On Tuesday 5th April 2011 PLACE visited Derry to see how arts organisations are preparing for the 2013 UK City of Culture. Together with Down District Council we toured various organisations on a day long visit which culminated in a presentation by ILEX to update PLACE on progress with Ebrington Barracks.